"We Craft Original Work From Concept Through Completion"
There are essentially three stages to delivering the product that you’ve entrusted us to create for you. An Hourly Rate, or a Flat Rate. Inkster Graphics uses hourly rates for those projects where the visual outcome has been previously established by Inkster, or another company. These types of projects require no design work, but are production based in nature; such as online, or print updates, signage, logo editing, oil pastel portraiture, etc. Flat Rates are employed for those projects that are creativity driven. While we could price a logo, for example, using an hourly rate, it might take us anywhere from 2-20 hours to mint the type of icon that thoroughly signifies your identity. Based upon the fact that we charge $85/hour, the high end of this 20-hour estimate would total $1,700.00. So because we feel that this philosophy would be unfair to you, we lean on fixed rates for specific categories of design based projects. – Should you accept our bid for your project, we will require the first of three payments to initiate the conceptual phase of this work. If the design fee meets with the Client’s budget, I will provide the Client with a calendar date that he/she can expect to receive the first versions of the design. At this time, 30% of the design fee will be due to Inkster prior to commencing with the Project. Payment can be rendered to us via credit card, PayPal, Venmo, in cash, or in the form of a check. From this point, we will begin the process of creating three proofs, or options for the Client’s review in person, or email, by the agreed upon calendar date. Inkster will attempt to ensure that the comprehensive designs, or drawings, be rendered at actual size. But that failing, I will deliver a proportionally-accurate re-sized version when necessary. In addition to the size, the quality of each of the three designs may not be as polished as the eventual final version of any of the three directions offered. They will however provide a clear representation of each of the options’ potentials. Once the Client has selected the option that provides the direction that meets with his/her needs, and thoroughly examines it for spelling errors, item placement and the like, that version is corrected based upon all of the Client’s instructions. We will ensure that our turn-around on changes/edits takes place as quickly as possible to ensure that we keep in-step with the deadline for this assignment. The end result will be a polished mock-up of design (at actual size when possible), for final review. Any Client-requested changes at this stage may result in additional fees* and or missing initially-agreed deadline. – The second 30% of the fee will be due at this time. NOTE: After the option that the Client selected is edited to his/her satisfaction, if the Client finds that they would like to change more than 50% of the look of the design, this will trigger an additional mark-up to the design fee in the amount of a $85 hourly rate. This rate will be added to the agreed upon design fee. A final version of the design is generated for the Client’s review, based upon the edits/revision requests that I received during the latter part of Phase Two. Once approval is received, Inkster will provide the Client with the work in the state that it was created in; be it electronic (graphic design files), or hard copy (caricatures, oil pastel portraiture, illustration, etc). Along with this, we will provide the Client with the assurance that if there are any issues that arise with printing any design that we create, we would like to have the Client point the printing facility in our direction. Because we stand behind our work, we want to make sure that we personally address any unexpected problems that may surface during the printing phase of our company-generated design in effort to absolve the Client of such concerns. – The balance for the project is due at this time. From concept to creation, Inkster Graphics has enjoyed a long history of hatching ideas that evolved into a polished solution. 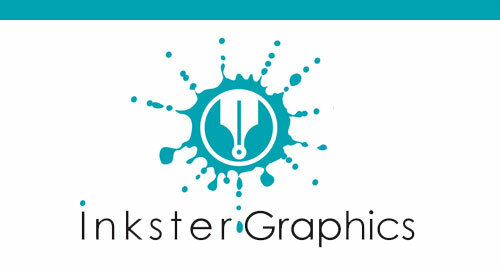 Inkster Graphics was founded in March of 2009 in San Diego, CA. Its founder, Nate Robb had already been in the business for over a decade prior to the launch of this company. During those early years, this natural born freehand artist never had any intention of working with computers for a living. None whatsoever. But because LIFE HAPPENS, one day something happened that changed all of that. In October 1991, Nate happened to walk into a graphics studio. While he was there, he saw some pretty eye-opening work that had been done by a designer on an Apple IIC computer using Adobe Illustrator and Photoshop. What was equally shocking to hear was that by the designer’s own admission, he (himself) could only draw a stick figure using a template and an unyielding level of focus! This news shined a new light on the fact that a fast lane existed that would allow a designer to produce top-notch work in less than half of the time; with edits included!! And so, shortly thereafter, Nate enrolled in night classes for graphic design as well in marketing. While a lot had changed for him since that day, one constant has remained true: the need to deliver quality work on-time and whenever possible, to surprise the client by also delivering more than expected! Three years later he joined forces with an associate to launch the Drawing Board; a company that chiefly produced logos, holiday greeting cards, and offered caricaturist for hire services throughout San Diego County. Then in 2003, he elected to resume his freelance business under his name. 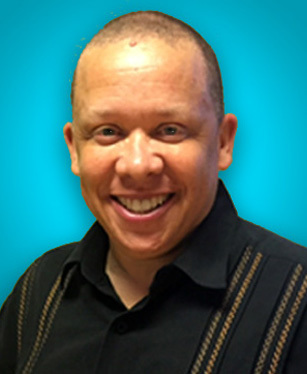 Nate Robb Graphics went on to produce pieces that were specific to the needs of his clients for the next five years until he decided to enlist the services of other freelance designers in support of his new enterprise, Inkster Graphics. Inkster is proud to have provided support to this [ list of clients ] as well as contract-based projects from local San Diego marketing and design firms such as: CoCo & Associates, SD Interactive and MCAS Miramar. In all, they have conducted work for 41 clients, and they’ve donated work to seven different foundations. With 46 satisfied clients know that it would be their pleasure to add your name and interests to that list as well. The Brighter Side Foundation: Logo and website for a unique non-profit organization dedicated to developing youth leadership skills and empowering teens in Southern California. The Foundation of Animal Care and Education (FACE): Painted [ pet food stand ] for auction. Proceeds went to emergency fund for pet owners who cannot afford their veterinarian bill. Reuben H. Fleet Science Center: “2011 San Diego Science Career Fair” occupational trade show displays for children, based upon renderings drawn of specific professionals.